Paul Waldman on the power of the narrative. 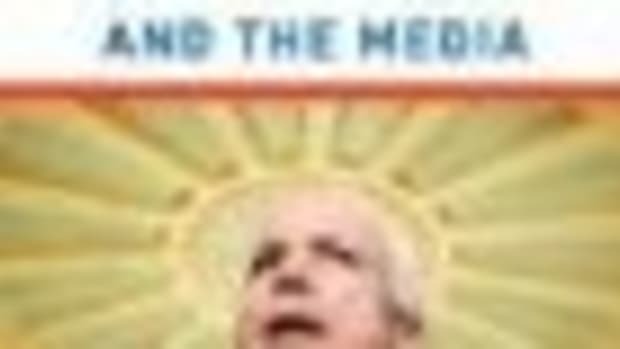 McCain told an interesting story when he ran for president in 2000: the system was corrupt, and with his unmatched courage, independence, and integrity, he would rid Washington of its blood-sucking influence peddlers. But in this campaign he has told no story at all. What is the problem McCain&apos;s presidency is supposed to solve? Why is he the only one who can solve it? These are the questions to which winning campaigns know and communicate the answers. McCain doesn&apos;t even seem to have thought about them. And what he communicates about himself is tethered firmly to the past. As much as his Vietnam suffering and courage gives him a halo with the pundit class, the key moment in McCain&apos;s personal story happened forty years ago. It does not connect to anything the public wants out of their next president. And the more he talks about the present and the future, the worse he does. While last week he criticized Barack Obama by saying the Democrat&apos;s speeches are "singularly lacking in specifics," few candidates on either side have been as vague as John McCain. How many people could tell you just what it is McCain wants to do if he becomes president, apart from staying in Iraq for a really long time?